Lou and former student Alexis Montgomery at APL signing in April, 2017. This was Alexis’ debut book-signing. Last chance to join 30 authors for a book-signing and panel discussion on small press and “Indy” publishing. Enjoy snacks, meet authors of many genres, make an afternoon of family adventure, and support your library and writing community. I’ll be on the panel discussion tomorrow at Anaheim Public Library at 1pm, book-signing to follow. Some of my former and current students, with their books, will participate: Wally Runnels, Herb Williams-Dalgart, Michele Khoury, Kim Baccelia, Judith Whitmore, Begona Echeverria, and more. New York Times best-selling author Debra Holland and I spoke on a panel in July 2016 at the Romance Writers of America National Conference. The topic was writing for Amazon’s Kindle Worlds. We will do a similar panel with other authors at the March 24-26, 2017 California Dreamin’ Writers Conference at the Embassy Suites in Brea, CA. On October 13 we spoke to Professor Karen Felts’ class on Sexuality and Gender at Orange Coast College and fielded questions about romance writing, the writer’s journey, publishing, and the link between imagination and life-experience in writing fiction. October 10-12, 2015. OCC/RWA Birthday Bash. Seminar/panel: “Keeping the Dream Alive.” Embassy Suites, Brea, CA. September 30 – October 6, 2015. NINC (Novelists, Inc.) annual conference in St. Pete’s Beach, FL. September 17, 2015. Beginning Your Novel or Memoir 10-week series. Lake Forest, CA. Query Lou of your interest or ask for details on future series via the Contact Me box on this page. Master traditional fiction-writing tools: character, plot, POV, voice, setting, dialogue, sensory, query letter, and more. Explore self-publishing, contest submissions, editing existing work, joining critique groups, attending writing conferences. For more info or to sign up for future classes, contact Lou at lounelson@cox.net or call 949-916-3310. See the “About” tab on this website for details about your instructor. February 19, 2015. Learn the secrets of best-selling authors in this intensive 10-week series, Intermediate Novel & Memoir Writing. 6pm in Lake Forest, CA. To register, email lounelson@cox.net or send me a note via the Comment box at right. September – October 2014. Beginning Your Novel or Memoir, 6 intensive weeks, a great experience. April 1 to June 3, 2014. Intermediate Novel & Memoir Writing, a 10-week series, 6:00-8:30pm Lake Forest, CA, 92630 To register, call (949) 916-3310 or email lounelson@cox.net …Ten inspiring weeks to gain the knowledge and confidence to write the story of your heart and get it published. 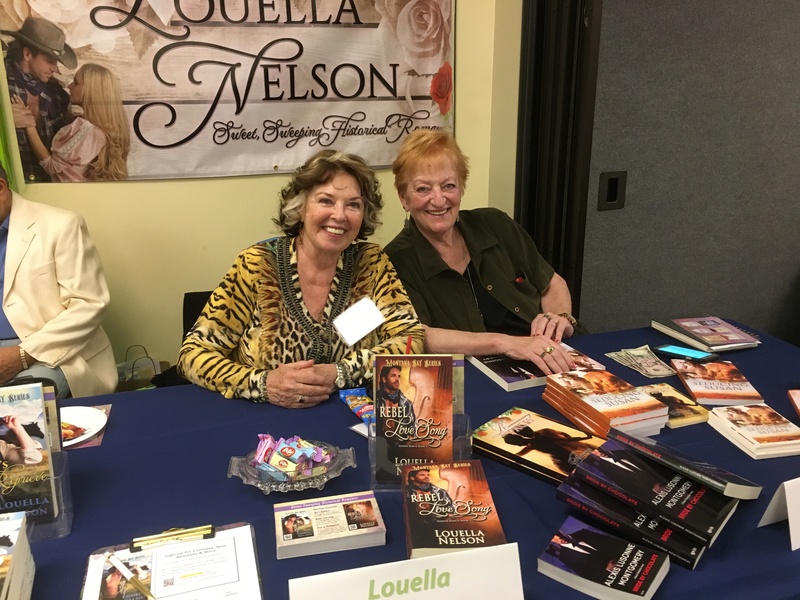 Award-winning UCI writing instructor and best-selling author Louella Nelson makes learning fun and natural. September 12, 2013. Write Your First Novel, Story, or Memoir, a ten-week intensive course starts, Lake Forest, CA Call 949-916-3310. March 2013. “Writing the Killer Synopsis” with Louella Nelson at the California Dreamin’ 2013 regional RWA conference at the Double Tree Hotel in Santa Ana, CA. Sherrilyn Kenyon and Julia Quinn were the key-noters. For more info on next year’s event, go to http://www.socalrwa.org. Winter 2014. Intermediate Novel Writing intensive 10-week series Thursdays at 6pm in Lake Forest, CA. No prior classroom experience required. Topics in this fun, intensive series: plotting, pacing the novel, emotion, scene design, voice, sensory and description, synopsis, marketing, self-publishing, and more. Many former students are agented, published, or sold with the pub date pending, and they continue to network and support each other’s goals. The series will repeat in 2014 and 2015. July 28, 2012. “Sizzling Scenes: Setting, Scene Goal, and Sensory” seminar at the Romance Writers of America National Conference, Anaheim Marriott in Anaheim, CA. Repeating every fall: “Writing Your First Novel, Memoir, or Short Story,” a 10-week intensive workshop. within the United states and U.K. before this month. communication (no voice and video nevertheless, all those require a connect-in set up).